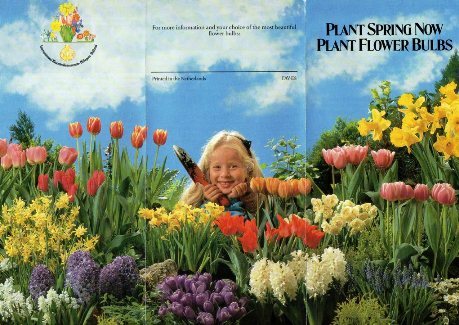 This was a small poster hung on a basket of loose hyacinth bulbs. 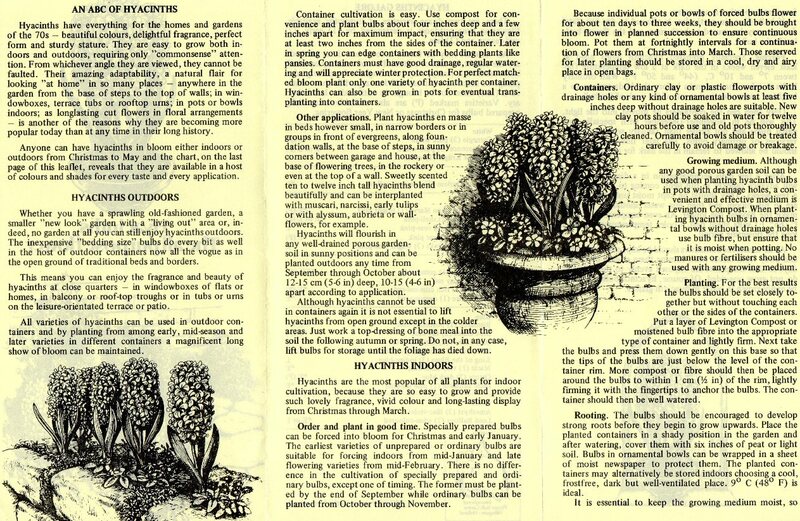 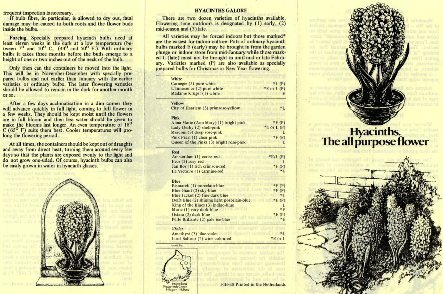 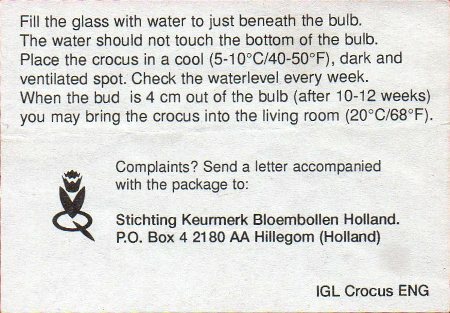 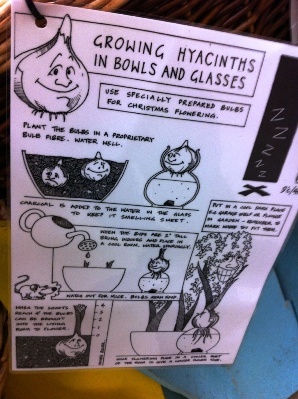 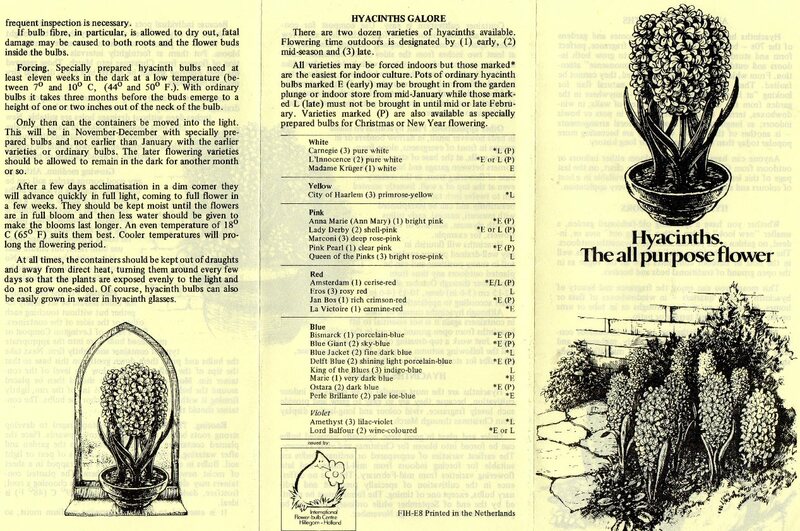 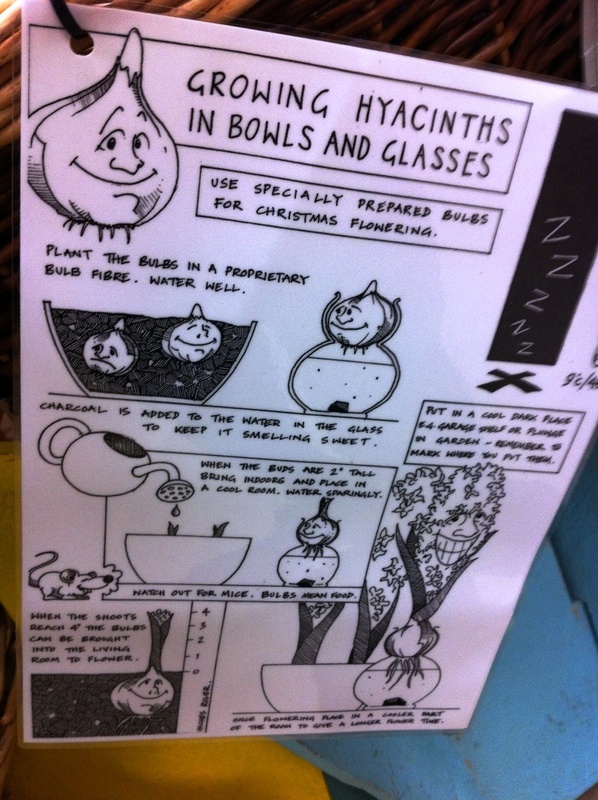 Not a leaflet but a good summary of instructions for forcing crocus in vases. 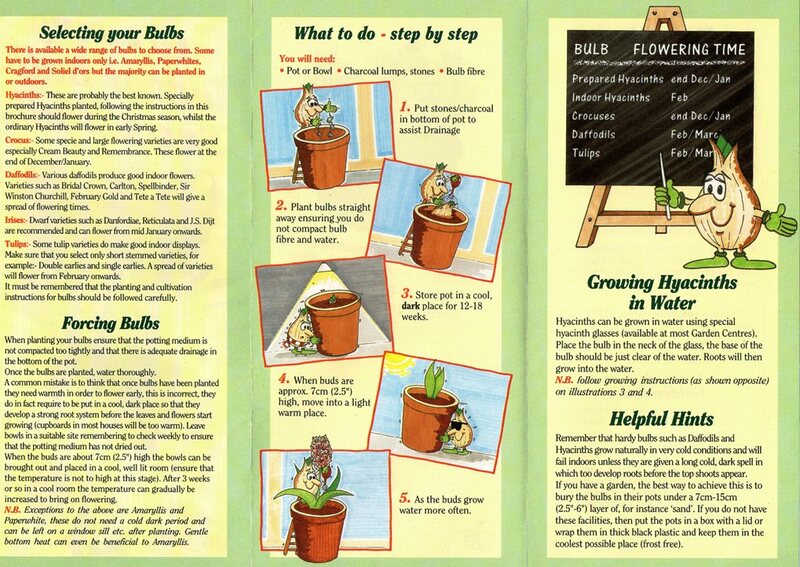 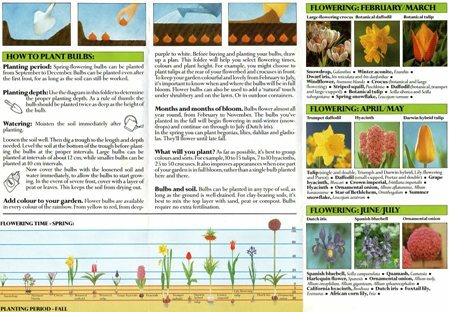 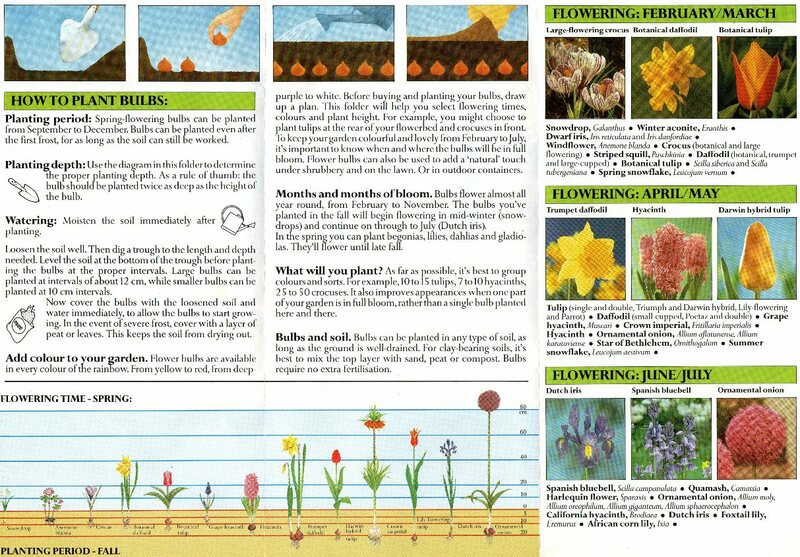 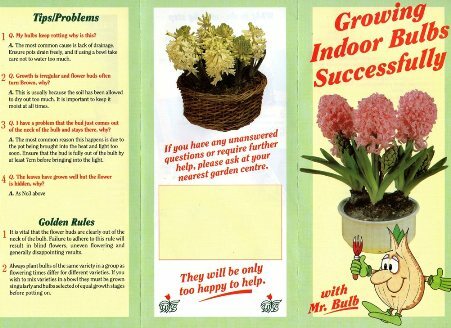 The next leaflet is about growing bulbs outdoors rather than indoors but I love doing that as well.